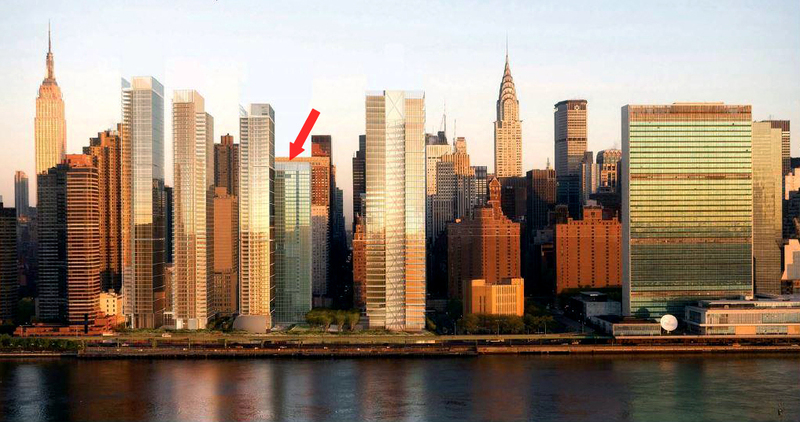 From the few details we’ve spotted on the approved permits, the massing of 685 First will essentially be a gigantic box. 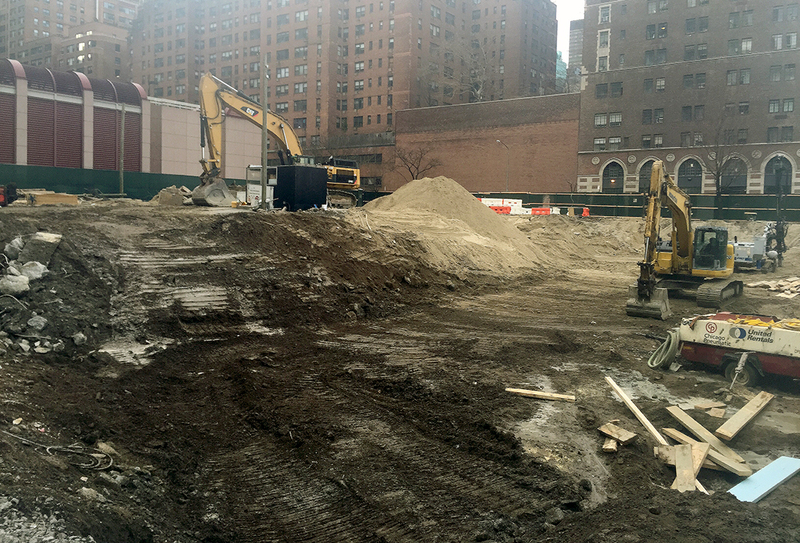 The ground floor will contain retail spaces along First Avenue, and the second floor will be packed with amenities such as a fitness center, pool, and library. 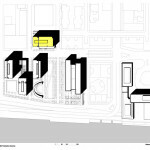 Floors three through 14 will have 20 apartments apiece, floors 15-20 will have 16 apartments each, and thereafter will be an average of 10 units per floor up to the 42nd level. 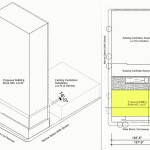 Initially pushed forward through a joint venture between Fisher Brothers and Solow Realty & Development, the once nine-acre master plan was formerly home to an imposing Con Edison steam and electricity plant, which was one of the largest such complexes on the East Coast and served one-fourth of Manhattan. 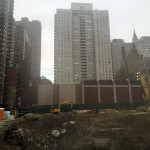 Solow purchased the site for $630 million in the mid ’90s and spent more than $100 million on environmental cleanups and demolishing the plant. 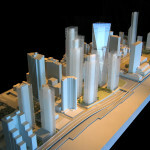 An ambitious 40-firm architectural competition was held soon after, with finalists including top designers such as Peter Eisenman, Rem Koolhaas, and Christian de Portzamparc working in pairs alongside more pragmatic New York firms such as SLCE, Gary Handel & Associates, and Davis Brody Bond. 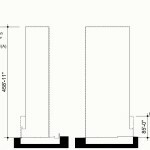 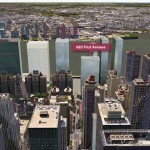 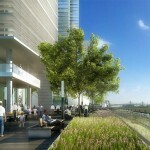 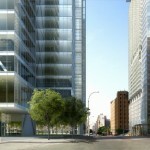 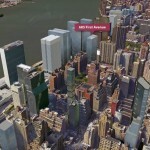 800-foot office tower once envisioned at 708 First Avenue. 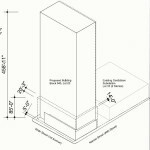 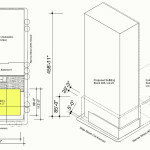 Due to community opposition, upon approval the tower, along with all others, was scaled down in height. 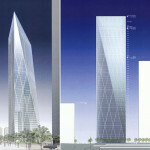 Courtesy Skidmore Owings & Merrill (SOM). 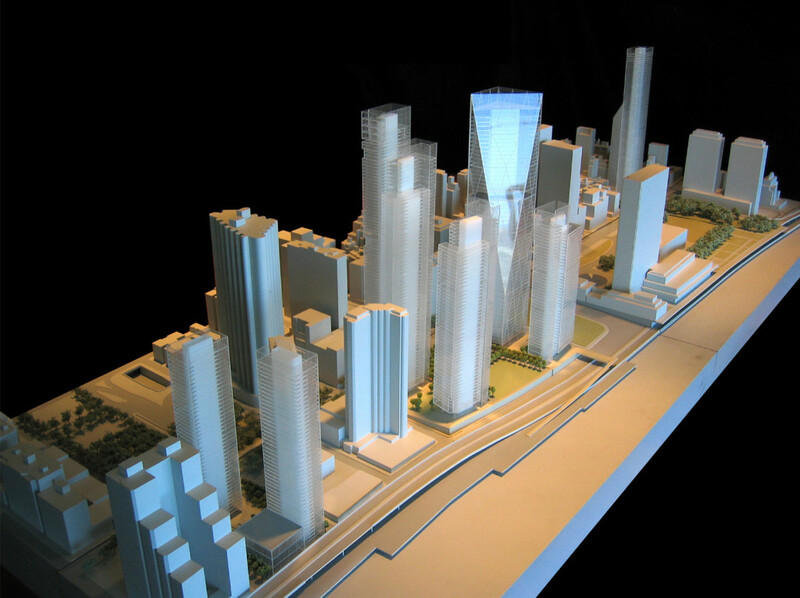 Ultimately, Skidmore, Owings & Merrill and Richard Meier & Partners were chosen, and their rather conservative vision of seven towers of varying heights was scaled down after a tumultuous community and environmental review process. 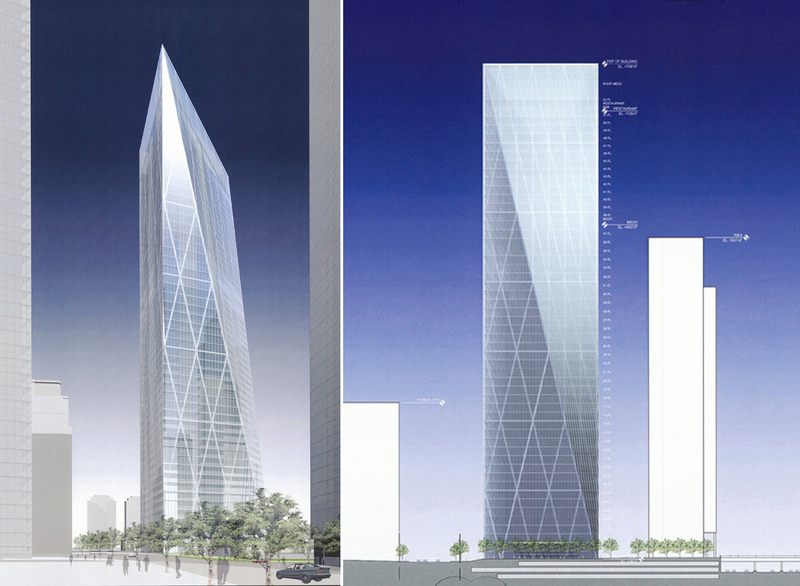 Community advocates viewed their towering over the nearby 550-foot United Nations Secretariat Building unfavorably, and the tallest building in the plan, an 800-foot office tower designed by SOM, was later capped at a little more than 600 feet. 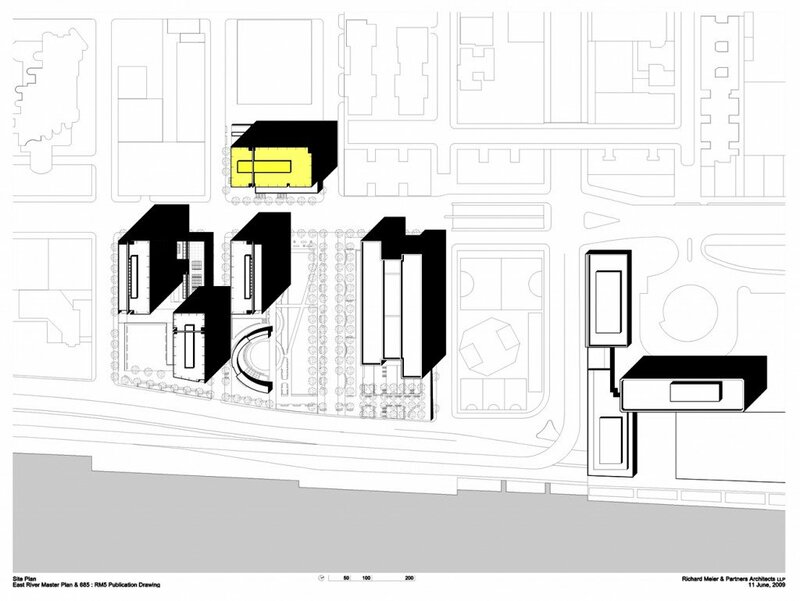 The city approved the site’s rezoning from manufacturing/industrial uses in 2008. 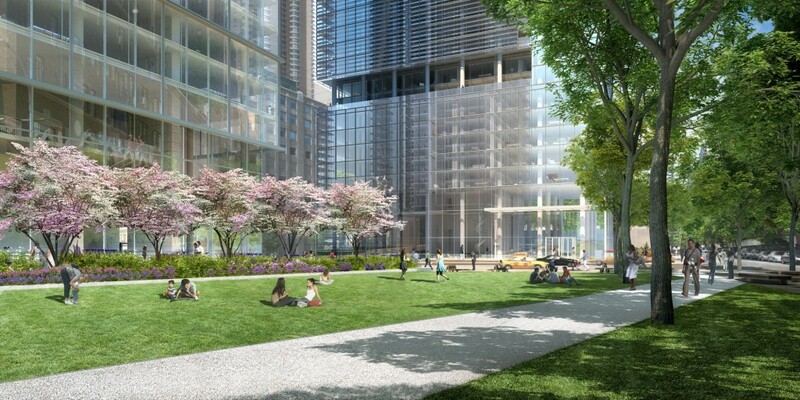 Given the go-ahead at the onset of the great recession, the $4 billion project is to include 2,500 apartments, five acres of public gardens and walkways, a public school, and affordable housing. 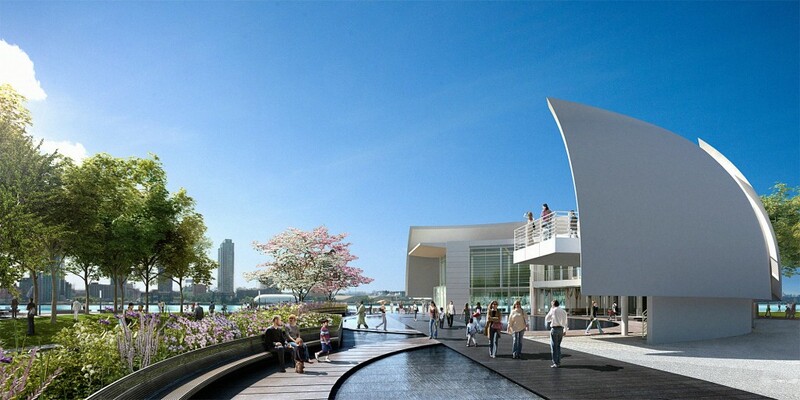 Seventy-five percent of the master plan is slated to be devoted to open space. 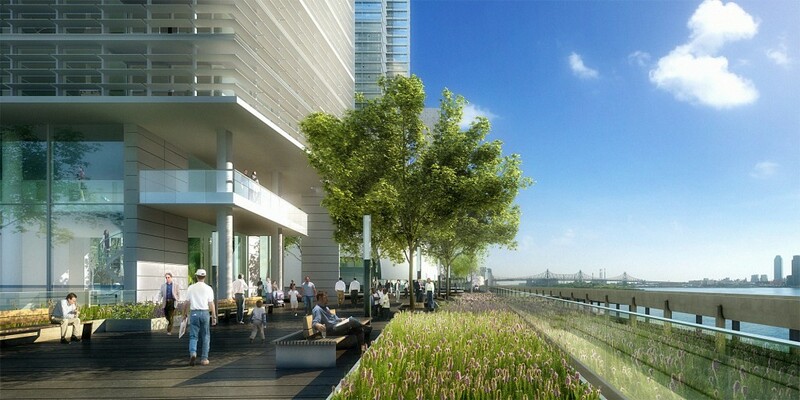 According to Meier’s project page, there will also be underground parking, a restaurant pavilion, and a promenade with views of the East River. 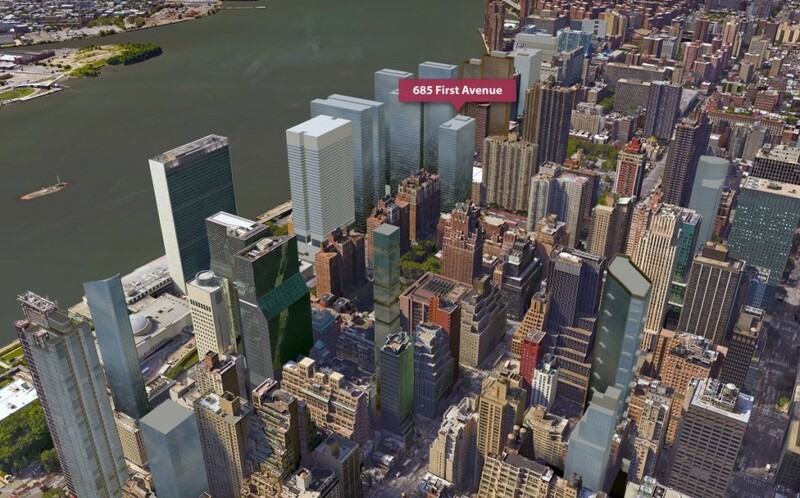 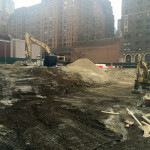 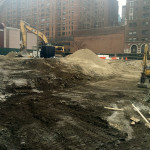 The southernmost portion of the original nine-acre agglomeration was spun off to JDS Development in 2013, where the firm’s “dancing” towers at 626 First Avenue are currently rising. 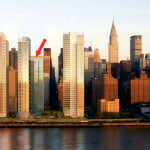 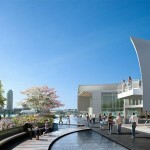 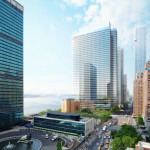 A number of towers are planned in the area, including a new office tower for the United Nations designed by Japanese architect Fumihiko Maki and a new tower for the Turkish Consulate. 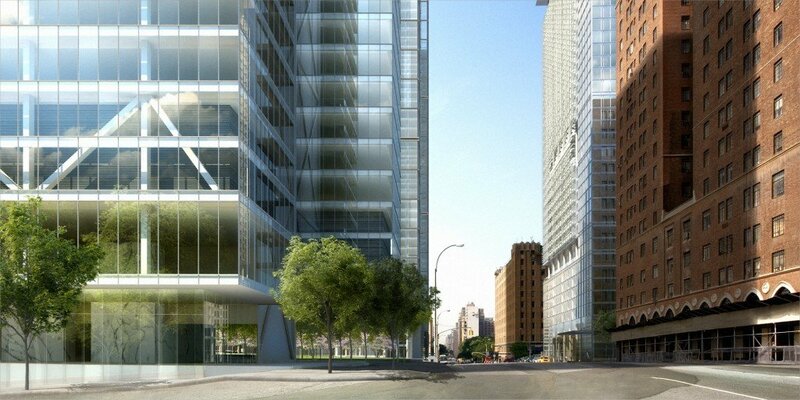 Find future listings for 685 First Avenue at CityRealty.